Social media allows every comment, word, thought, and rant of an individual to be accessible to the world. Everyone can have a say and much of what is said is often given credence regardless of the source or weight of evidence. At its best, social media gives every David a forum to beat Goliath. At its worst, the faceless pseudonym driven world of social media can be used to destroy reputations or spread misinformation either by intent or sheer ignorance. 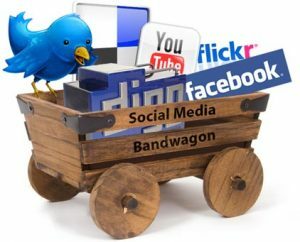 As a business and employer, the question is, is social media a threat or an opportunity and how paranoid should you be? Aggrieved or just plain naive employees have the capacity to turn a bad day at the office into a brand embarrassment. The BBC reported the case of a Swiss woman fired by Nationale Suisse for using facebook on the day she called in sick with a migraine saying she had to be in a darkened room and could not use her computer. Allegedly, another employee alerted the company to the fact that she was using facebook that same day. Despite this, Fair Work Australia saw that the comments made by the hairdresser “were silly in the context of being made in a public forum” but not damaging to the hairdressing business. As an employer, the question of how to protect your corporate image without impinging on your employees personal lives is vexing and remains largely unanswered. However, if the comments of an employee are shown to be detrimental to the business and the business has an active policy in place preventing employees from being publicly critical of the employer and its business, then an employer should be within their rights to pursue disciplinary action. But firing an unruly employee in a knee-jerk reaction to sarcastic comments is not enough. The Commonwealth Bank recently came under fire for its internal social media policy released to staff in December. The Financial Services Union (FSU) released a public letter to the bank stating that the policy “..seeks to impose unreasonable restraints upon employee’s use of social media channels..” and “…goes beyond conduct that could legitimately be regarded as involving damage to the banks reputation or interests.” The FSU goes on to say that the requirement for employees not to “comment on, post or store any information about bank related matters”, or “disparage or speak adversely about the group, its customers, employees or customers” severely restricts employees’ freedom of expression. Employees who breach the policy may face disciplinary action including termination. Any form of investment whether it’s in technology or in time needs to have a clear and measureable objective. Social media is an untamed beast. Does your business have the time and resources to measure and manage what is being said 24/7? If you have a blog or are on twitter, do you have the resources (and enough to say that is valuable) to maintain consistency? The online community are understandably cynical of business and their desire to simply spin –they can get that from the mainstream media. The Commonwealth Bank found this out when a customer, a journalist, used twitter to vent her frustration at delays in the bank’s mortgage processing centre. She then reported in news.com.au the fact that 1 hour and 17 minutes later she was “contacted by someone offering to help to solve my problem.” The journalist then states that the bank had said it would continue to “reach out to customers via social networking.” So, is the bank acting on twitter posts? Apparently not. Not long after this story broke, a US blogger pointed out that the tweet responding to the journalist’s complaint was not from the bank “reaching out” but from a private employee who appeared to work for the bank (the tweet was from @ozdj not @CBAOnline). There are business operators that actively use social media to their advantage. Virgin America states that it uses social media to boost its brand presence, allocating up to 70% of its advertising budget to the format. It’s a good match for a business that sells the vast majority of its tickets online. In Australia, there was the Tourism Queensland’s “Best job in the world campaign” that primarily used social media (as part of an integrated strategy) that attracted 8.4 million site visits. The Oculus Group has over 64 years experience in advising and growing our clients businesses. We can work with you to help modify and implement your social media plan.